Pacific Inn Hotel & Suites guarantees the best prices for online bookings. Book with us and find the lowest unbeatable rates right here on our website. Save big on your next booking when traveling to San Diego. View our hotel offers that perfectly match your needs. Looking for Cheap Hotels in San Diego? 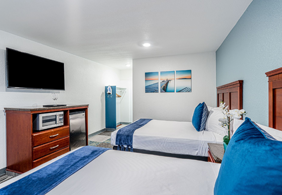 Whether you are arriving in town for business, enjoying a vacation or departing from San Diego on a cruise or flight, the Pacific Inn Hotel and Suites is the ideal choice for cheap hotels in San Diego. 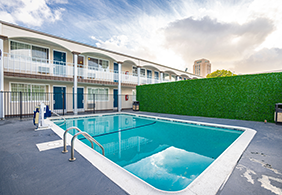 A great choice for business and leisure travelers alike, the Pacific Inn Hotel and Suites in Downtown San Diego provides easy access to everything San Diego has to offer. 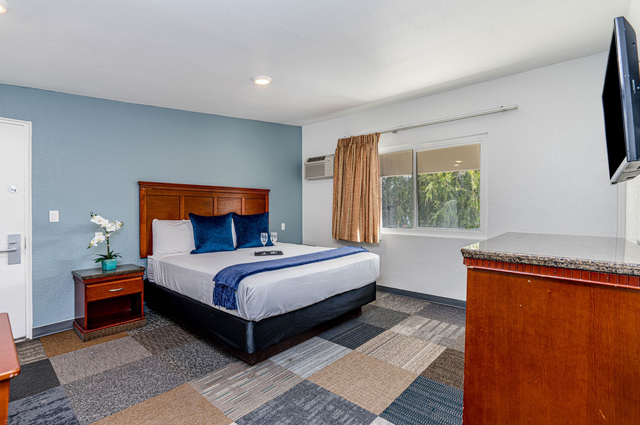 Our affordable hotel is located only one block from the San Diego Bay and minutes from the Convention Center, the San Diego Airport and the city's most popular attractions including the historic Gaslamp Quarter, Seaport Village and the World Famous San Diego Zoo. 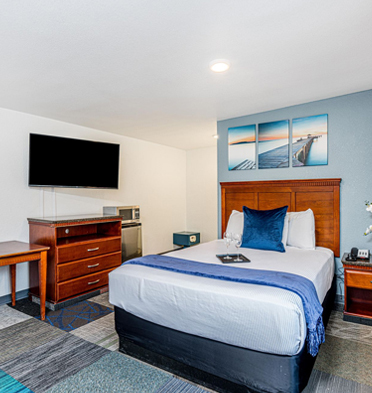 The Pacific Inn Hotel and Suites combines seaside charm with friendly service, comfortable accommodations that are all ADA Defined service-animal friendly, and a convenient location, making us the ideal choice for affordable hotels near downtown San Diego. Are You Looking for San Diego Downtown Hotels that Offer Exclusive Park & Fly or Park & Sail Package for Business and Leisure Travelers? 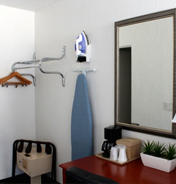 The Pacific Inn Hotel and Suites, conveniently located near the San Diego Airport offers a Park & Fly Package, which is designed to meet the unique needs of business and corporate travelers. This exclusive package allows our guests to avoid expensive airport parking fees and a long commute to the airport. 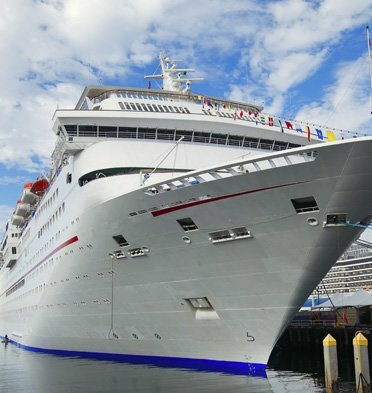 For our guests who are departing from San Diego on the cruise liners, we offer a Park & Cruise Package. Each package allows guests to park their cars at the Pacific Inn Hotel and Suites for an extended period. This special promotion includes 7 nights of parking and a 1-night stay at our hotel, which is conveniently located only 2 miles from the San Diego Airport and 2 blocks from the cruise terminal. 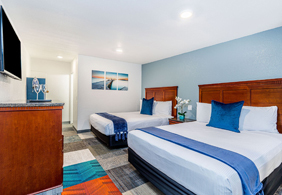 Make an online reservation or call 619.232.6391 to learn how much you can save at the Pacific Inn Hotel and Suites, in comparison to other cheap hotels in downtown San Diego. 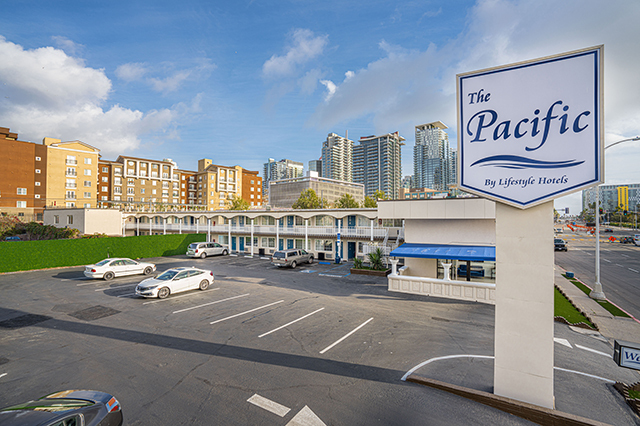 If you are looking for hotels that won't break the bank and are still near local downtown attractions, the Pacific Inn Hotel and Suites is your number one choice. 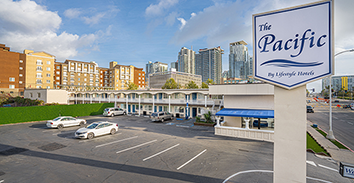 We are conveniently located in downtown San Diego, close to many attractions including the USS Midway Museum, Petco Park, the San Diego Bay, Horton Plaza and much more. Enjoy a tranquil walk through Seaport Village or the gardens of Balboa Park. Discover the variety of foods and entertainment in the historic Gaslamp Quarter, Little Italy and Old Town San Diego. Visit the exotic animals at the world famous San Diego Zoo and Sea World San Diego. We are a preferred choice for visitors looking for hotels near San Diego Zoo and hotels near Sea World San Diego. With so much to do here in San Diego, there is no shortage of memorable experiences and excitement. 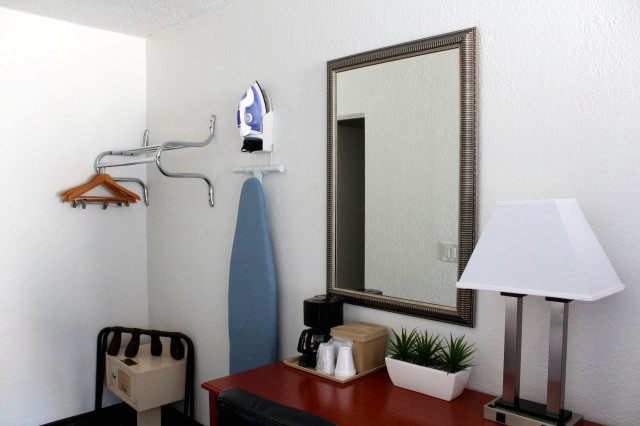 When it comes to choosing cheap hotels in downtown San Diego, the Pacific Inn Hotel and Suites is the most convenient and affordable choice for tourists and business travelers alike. 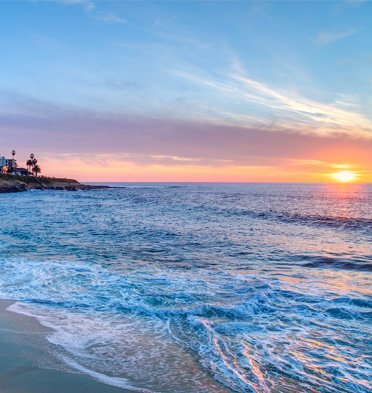 Click here to discover San Diego's local attractions. 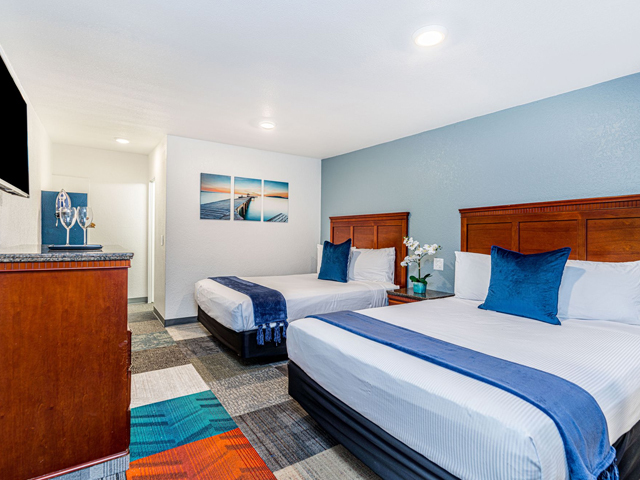 Start planning your trip now by checking our rooms and suites or by making an online reservation or by calling 619.232.6391 to reserve a room at the Pacific Inn Hotel and Suites in Downtown San Diego. 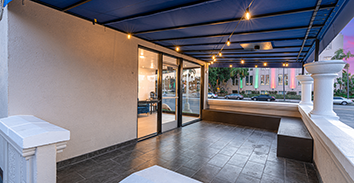 When comparing budget Downtown San Diego hotels, guests find that the Pacific Inn offers great value with our comfortable accommodations. 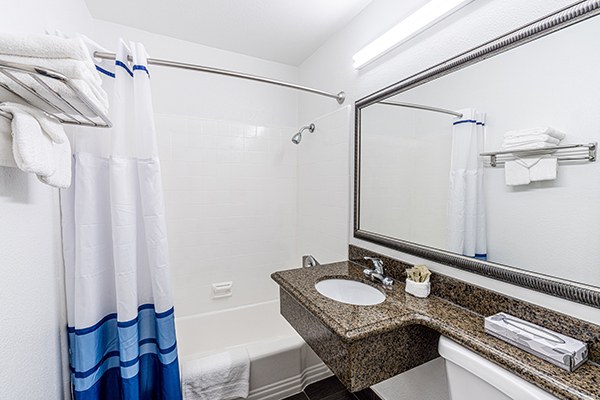 The rooms and suites at the Pacific Inn Hotel are furnished with all the essential amenities for our guests to enjoy. 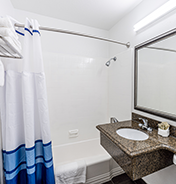 We provide a variety of in-room comforts and conveniences such as cable TV with HBO and ESPN, a refrigerator, microwave, coffee/tea maker and free wireless internet. We are pet friendly. 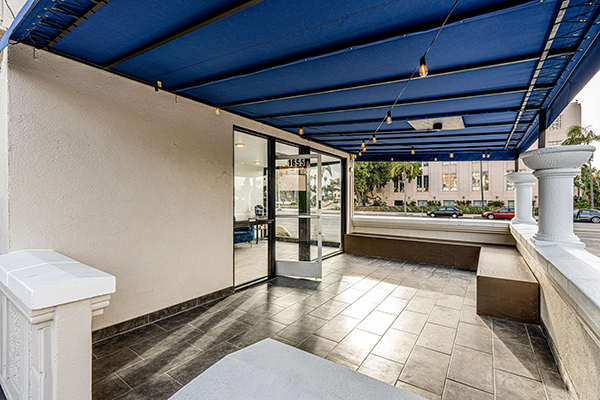 We are conveniently located in Downtown San Diego, close to many attractions including the USS Midway Museum, Petco Park, the San Diego Bay, Horton Plaza and much more. Located just 2 blocks from the Cruise Terminal, Pacific Inn Hotel & Suites is the perfect hotel to stay before embarking on your cruise. Take advantage of our Park & Cruise Package. Enjoy a tranquil walk through Seaport Village or the gardens of Balboa Park. Discover the variety of foods and entertainment in the historic Gaslamp Quarter, Little Italy and Old Town San Diego. Visit the exotic animals at the world famous San Diego Zoo and Sea World San Diego. Pacific Inn is a preferred choice for visitors looking for hotels near San Diego Zoo and hotels near Sea World San Diego.